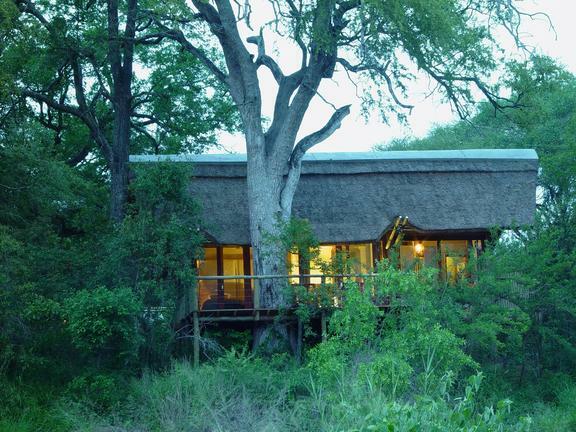 A natural extension of the bush and landscape, Rhino Post Safari Lodge is the perfect base from which to explore South Africa’s iconic Kruger National Park. 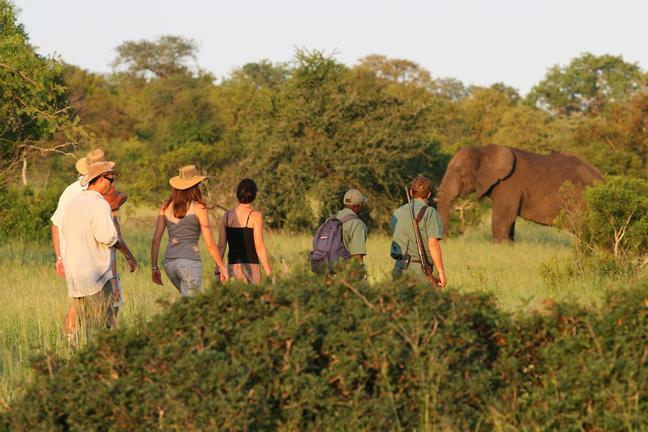 Experience responsible eco-conscious tourism, affordable, stylish accommodation, knowledgeable guides and staggering biodiversity, including the highly publicised big five. 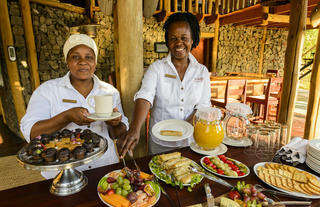 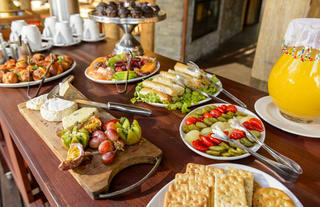 Enjoy our relaxed, friendly atmosphere, and let us show you Africa’s heartbeat. 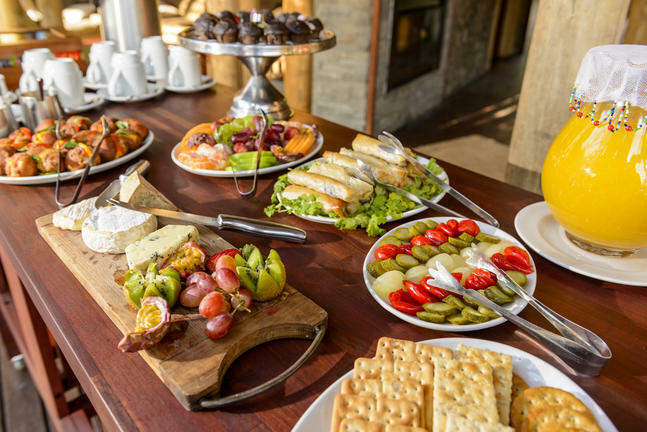 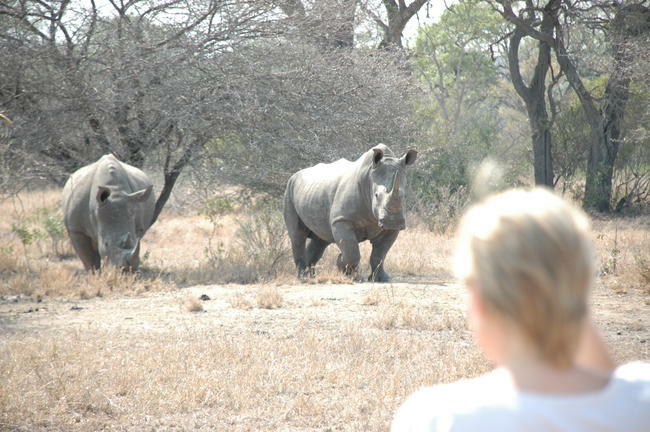 Rhino Walking Safaris specialises in luxury walking safaris in 12,000 hectares of pristine bushveld in the only wilderness concession situated in the Kruger National Park. 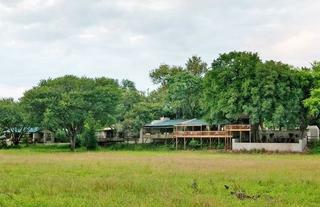 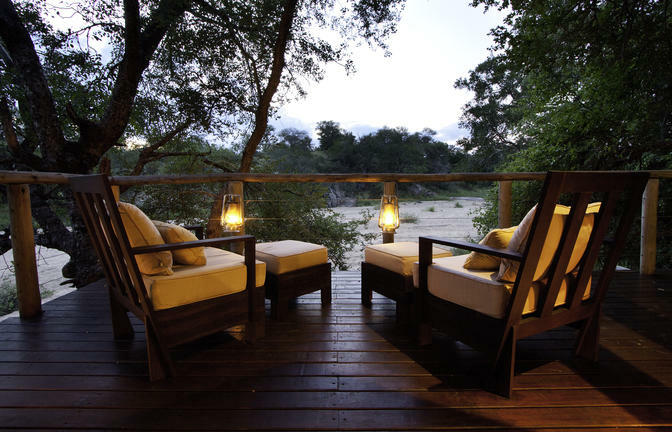 The concession shares a 15km unfenced boundary with the famous Mala Mala and Sabi Sands Reserve, with an abundance of wildlife moving freely between the two reserves. 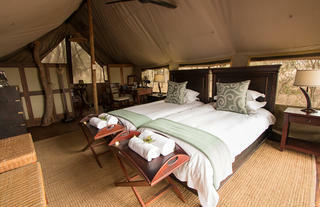 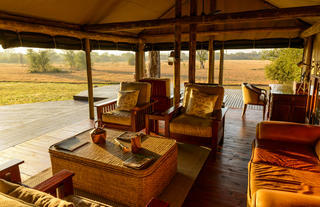 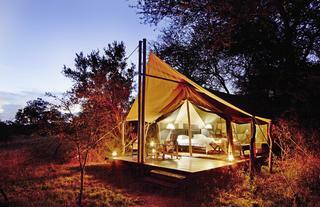 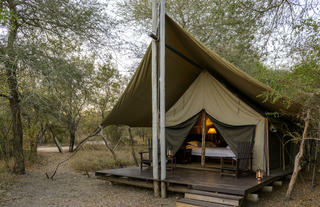 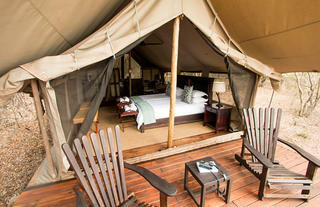 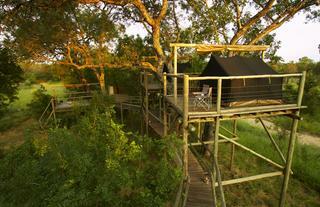 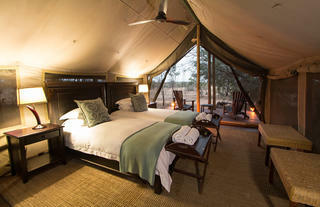 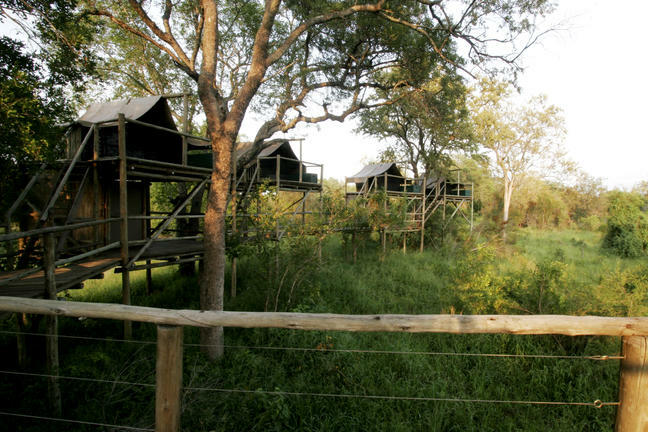 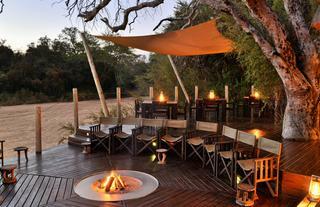 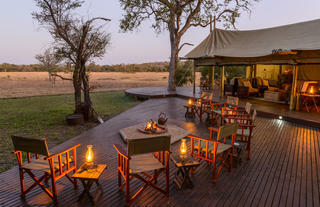 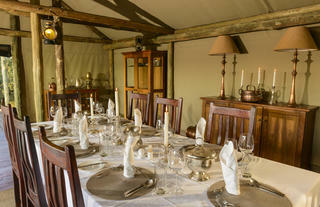 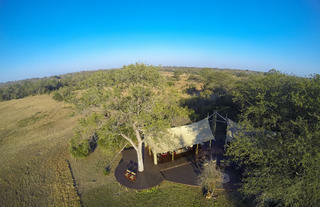 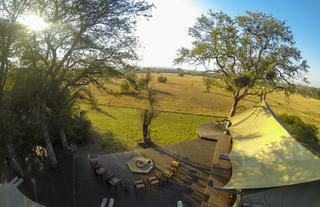 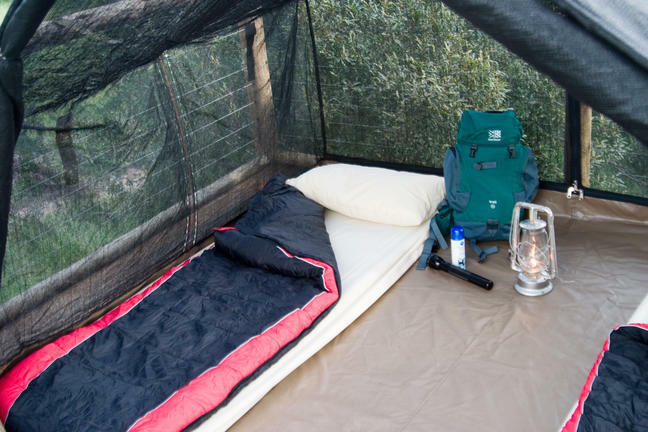 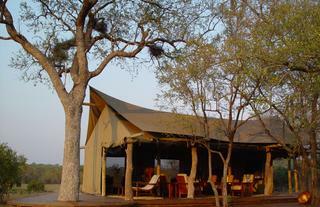 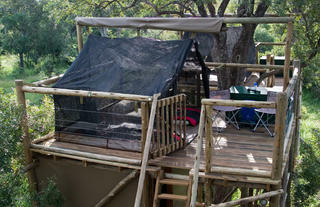 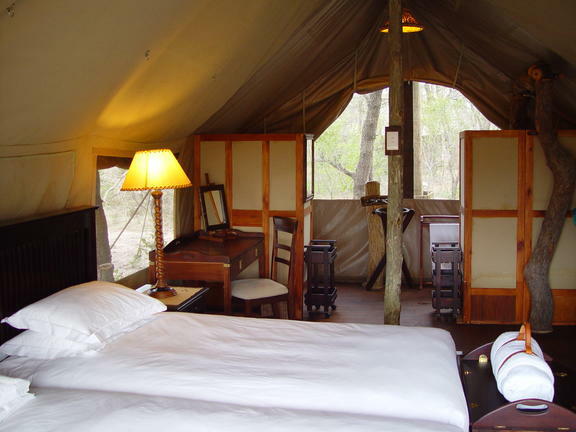 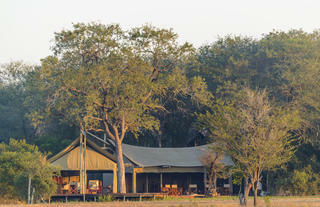 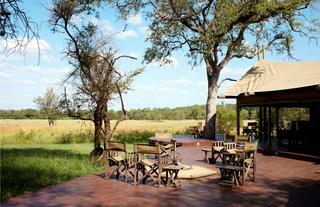 A maximum of 8 guests are accommodated in luxury African Explorer Style tents at Plains Camp. 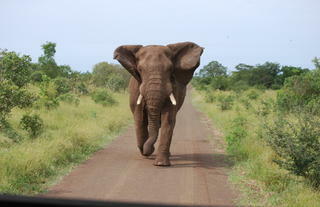 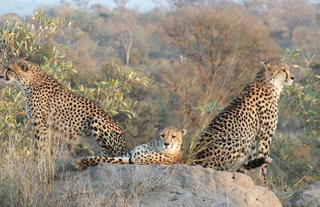 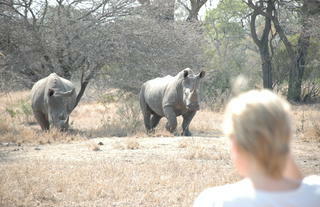 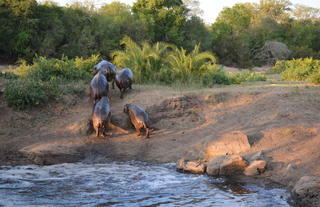 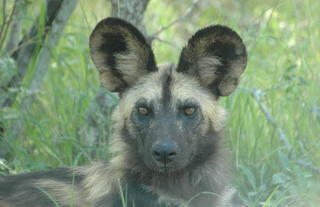 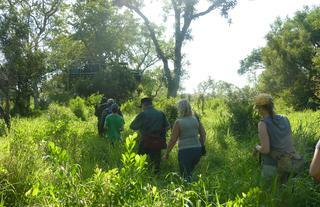 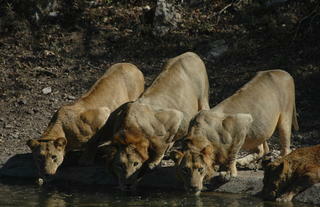 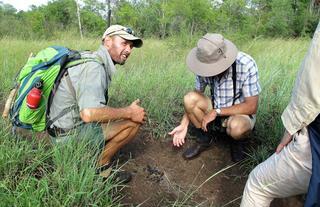 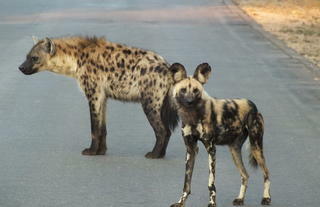 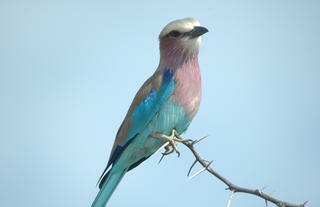 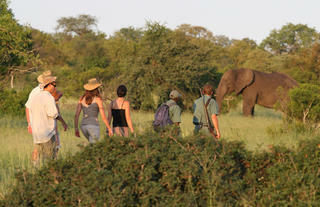 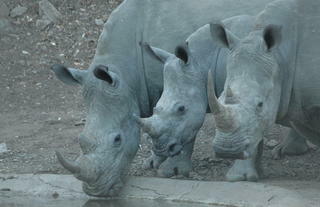 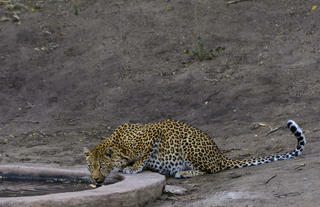 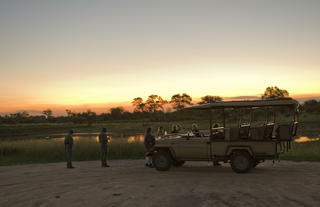 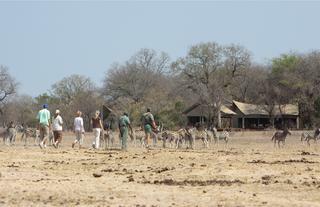 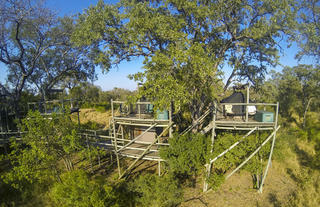 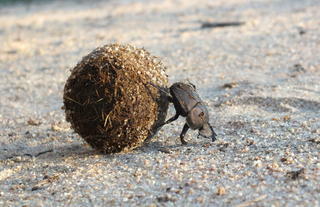 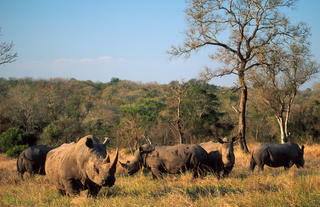 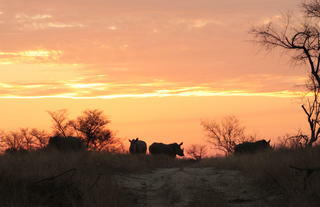 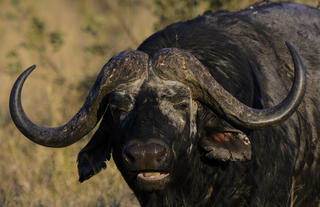 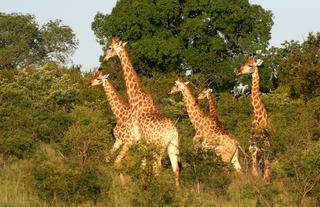 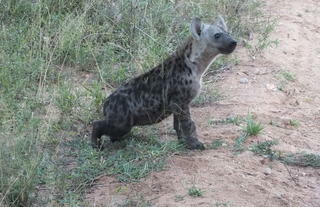 Early morning walks lasting between 3-4 hours are led by 2 highly experienced rangers in the heart of Big 5 territory. 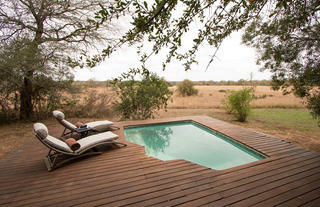 Days are spent relaxing in the comfort of the 19th century naturalist retreat reading, relaxing at the plunge pool while viewing game on the plains. 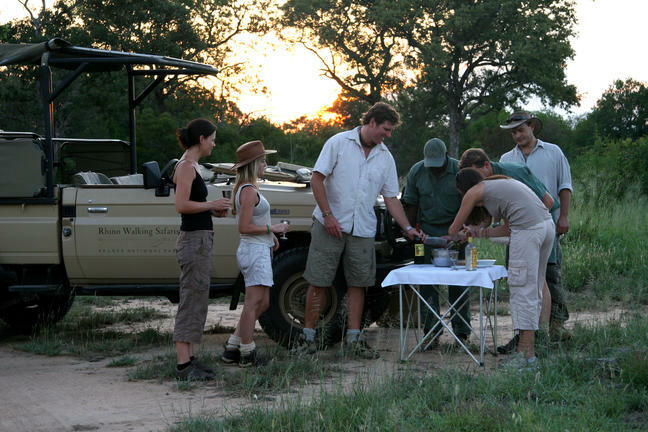 After a sumptuous high tea guests go out for a short late afternoon walk, sundowners in the bush & then meet the vehicle to track nocturnal creatures well into the night. 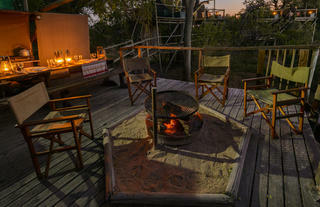 After a delicious dinner fireside tales are enjoyed under inky blue skies. 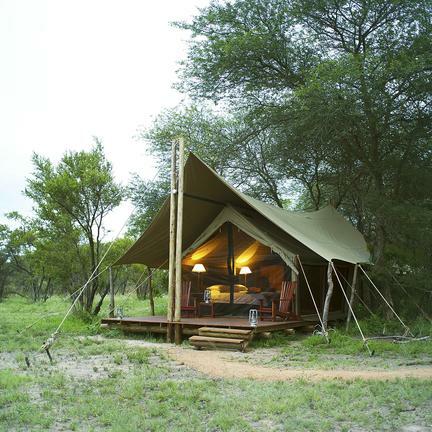 African explorer-style tents with en-suite (hot running water) and all the comforts of home, plus the African Wilderness on your doorstep. 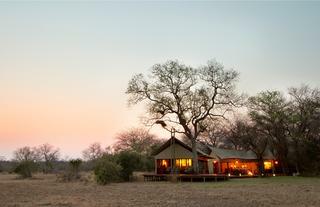 Built in authentic pioneer tradition it has the serenity of a 19th century naturalists retreat, nestled in an Acacia Knobthorn thicket and overlooking the spectacular Timbitene plain and waterhole. Discover nature’s hidden wonders in specially tailored walking trails from our luxury tented accommodation.With a maximum of eight people only (no children under 12), guests are ensured of a quality, pristine wilderness experience. 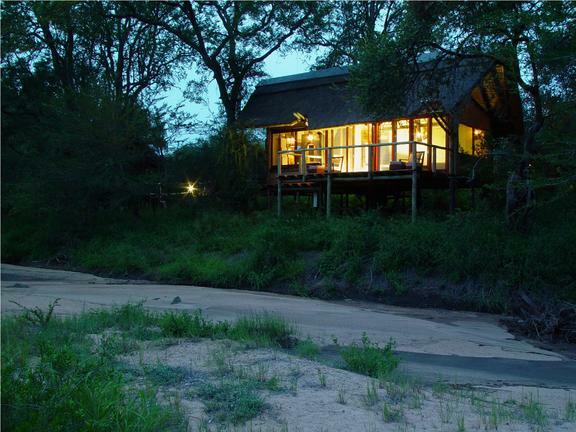 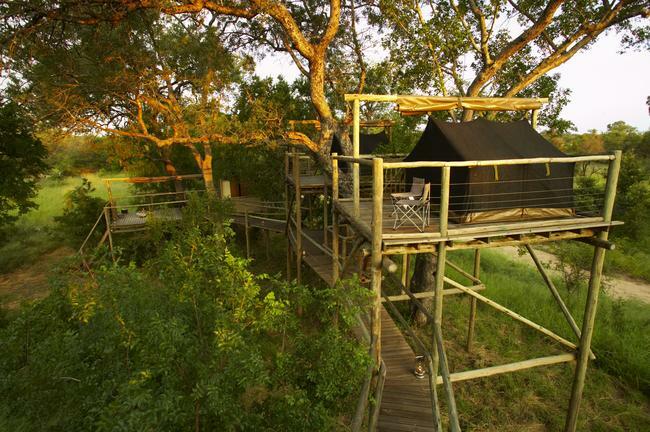 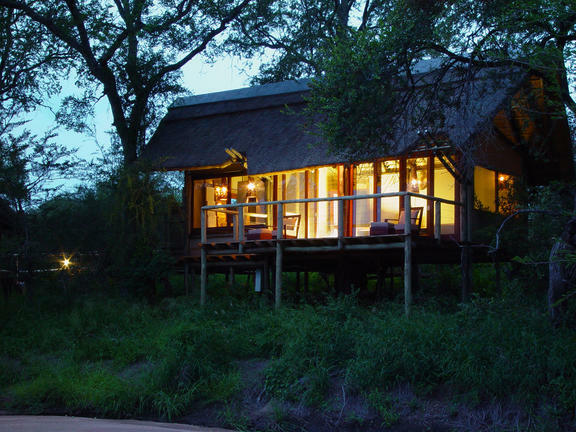 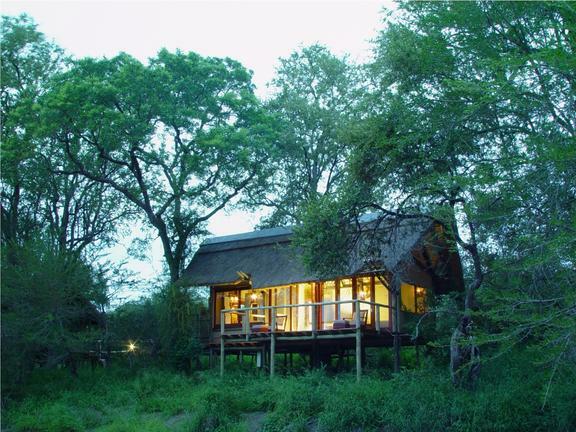 Notten’s Bush Camp is a jewel within the heart of the Sabi Sand Game Reserve in Mpumalanga, which means “the land of the rising sun” in the locally spoken language, Shangaan. 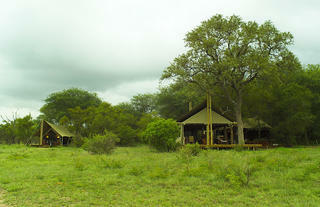 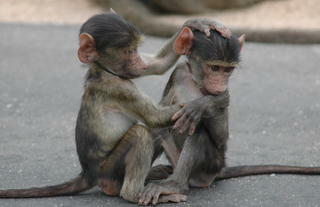 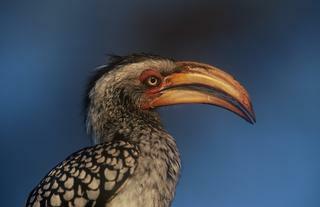 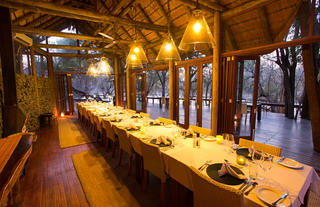 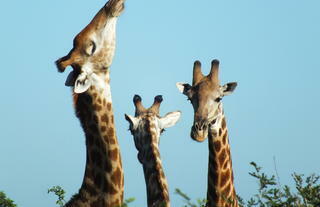 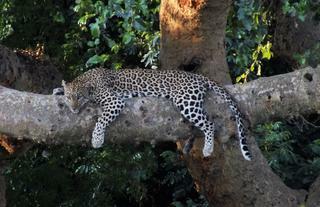 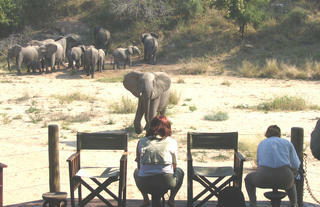 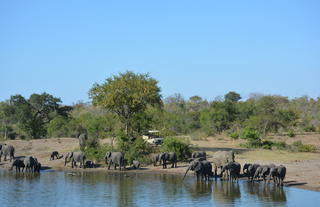 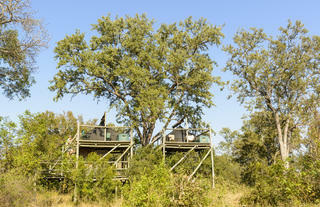 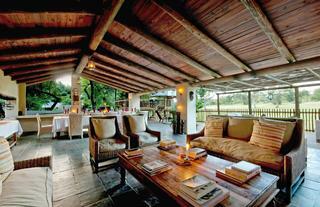 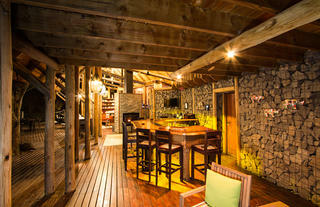 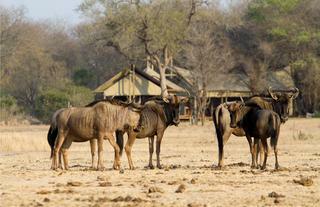 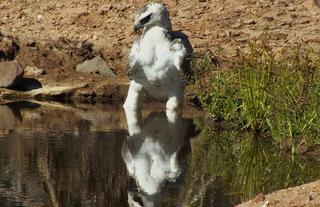 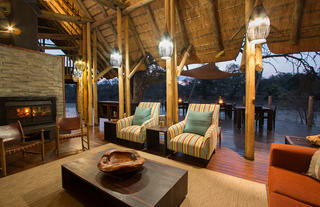 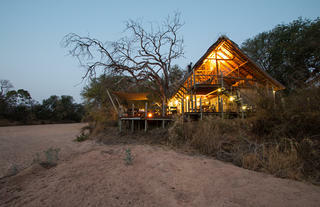 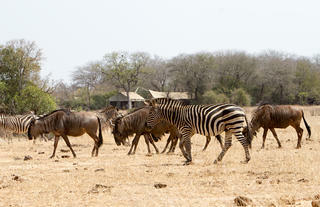 Notten’s is an exclusive and private safari lodge personally run by the Notten family. 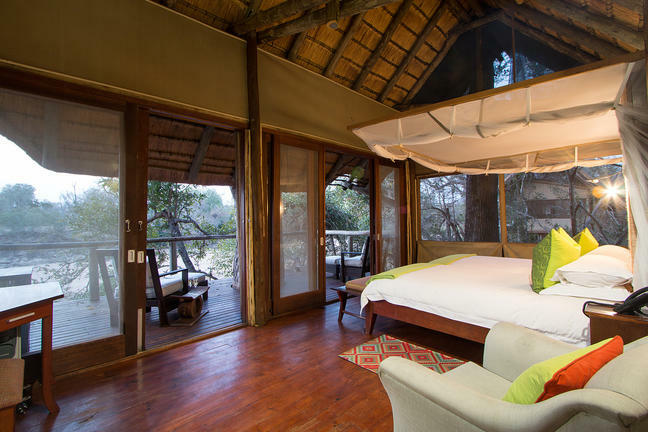 This beautiful, intimate safari lodge is situated within one of South Africa’s finest natural sanctuaries the Sabi Sand Reserve and Greater Kruger National Park. 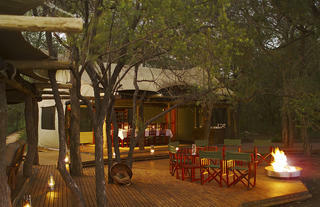 It is a destination that will truly touch your heart and soul. 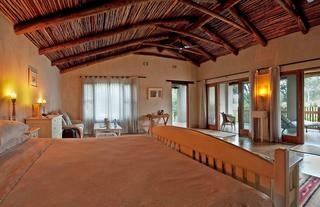 Each private suite is elegantly styled, spacious and cooled by ceiling fans. 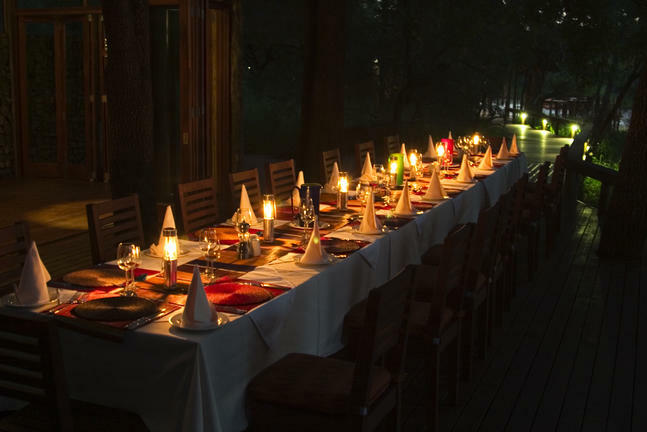 A magical atmosphere is created with the purposeful absence of electric lighting; the ambient candlelight and lanterns capturing an enchanting spirit of romance. 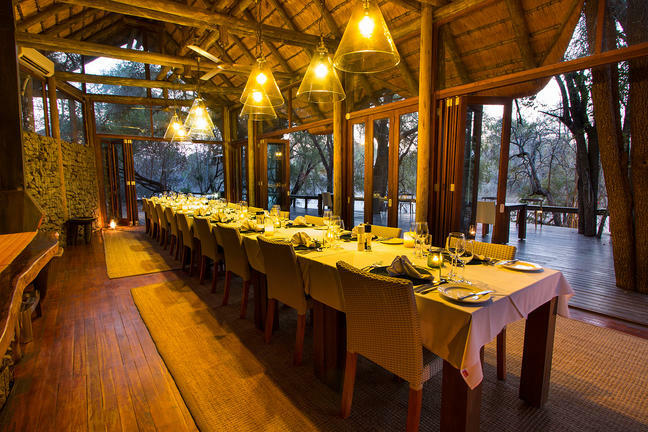 With splendid panoramic views, this private game lodge is the perfect place for peace and relaxation while watching animals meander past. 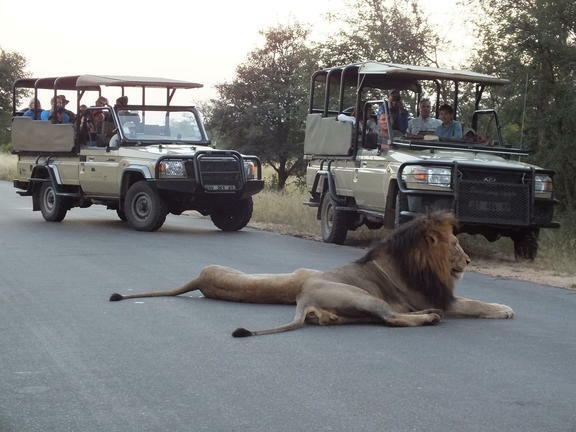 The Sabi Sand Game Reserve is a remarkable natural sanctuary known for its exceptionally high concentration of animal and bird life. 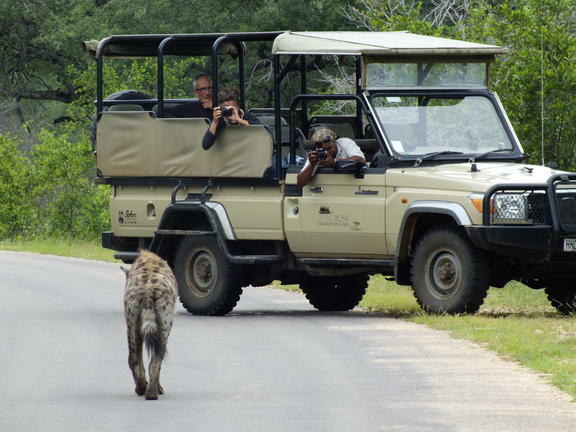 Safaris are led by experienced rangers in open-top land rovers, offering an adventurous discovery of the region’s prolific wildlife, including Big 5 game viewing. 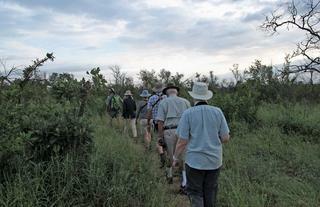 Unique walking safaris are offered daily giving guest the opportunity of discovering the hidden treasures of the region. 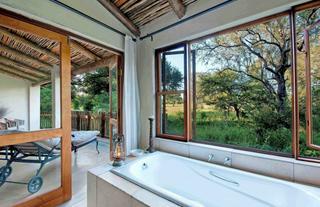 This can be followed by lazy hours spent in the sparkling pool or having a massage at the Nature Spa. 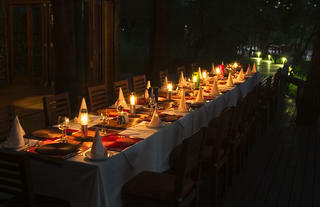 Under the cloak of nightfall one can enjoy the sounds of the African night, while dining in the enchanting candlelit boma beneath a canopy of stars. 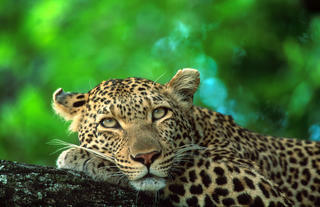 Find sanctity within the natural rhythms of Mother Nature. 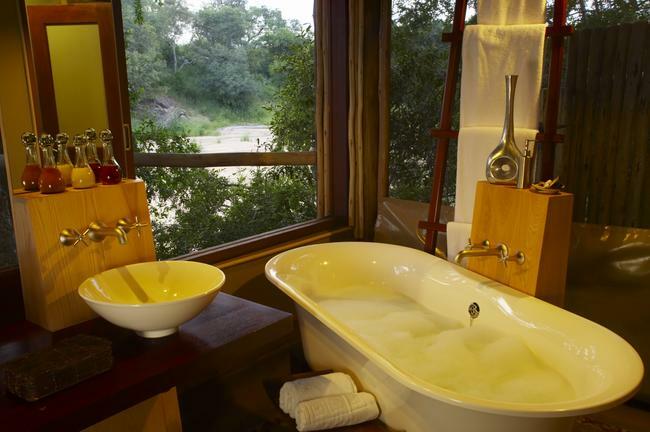 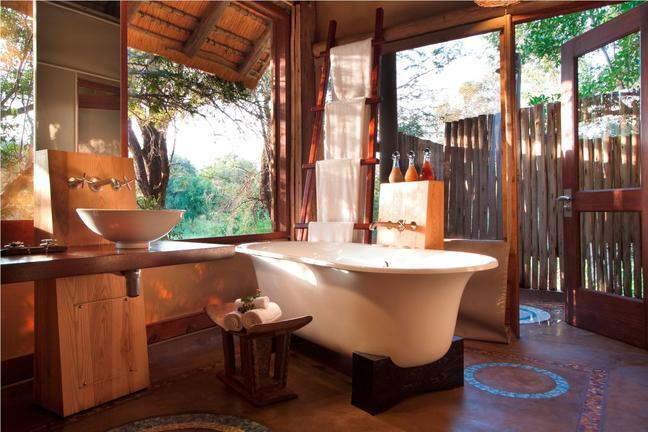 Enjoy candlelit baths, massages, mesmerizing nights around blazing fires and close encounters with Africa’s Big 5 Game at this world class private safari lodge in South Africa, located in the Sabi Sand game reserve within the Greater Kruger National Park. Boundless hospitality is the hallmark of Notten’s Bush Camp, to which satisfied visitors return time and again. 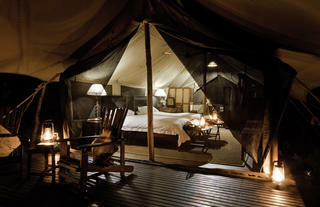 A fine combination of peace, romance and a touch of decadence all in untamed Africa. 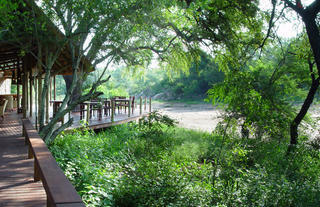 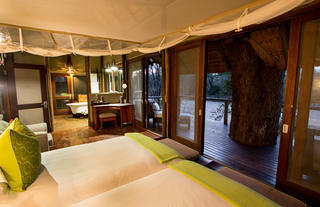 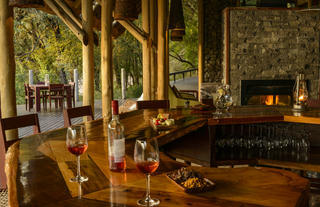 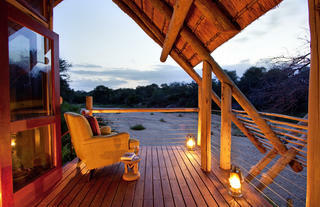 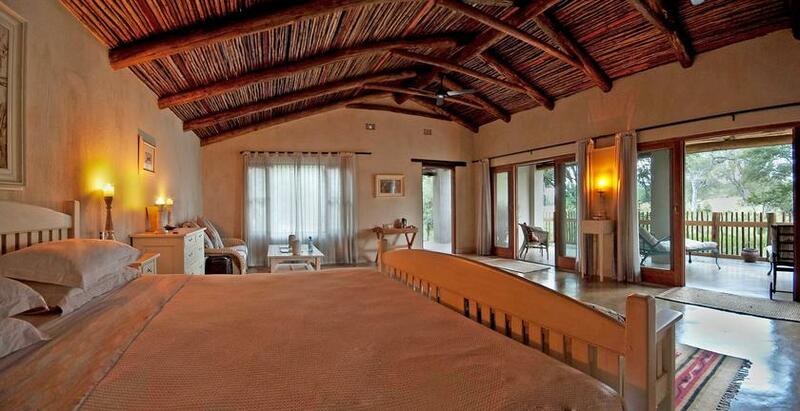 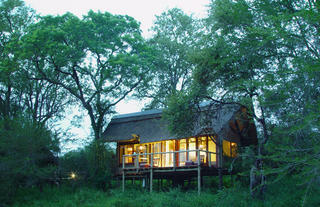 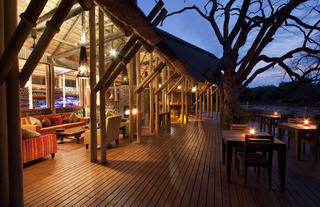 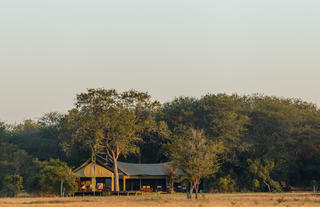 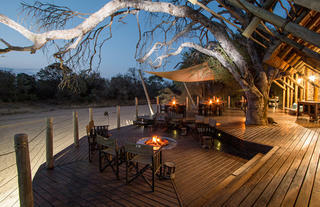 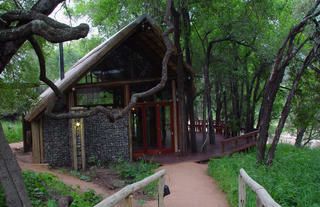 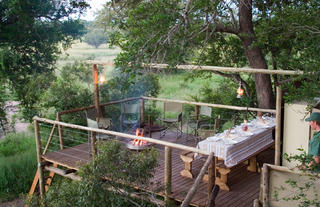 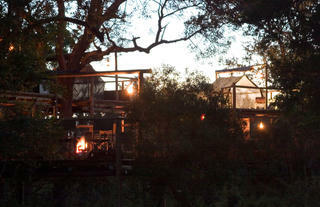 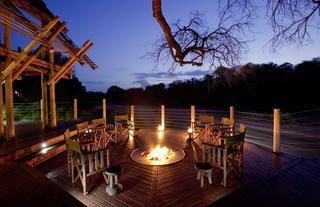 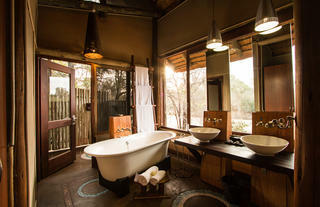 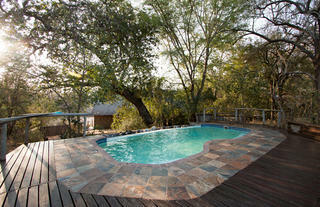 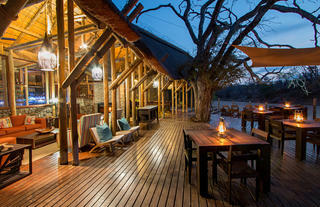 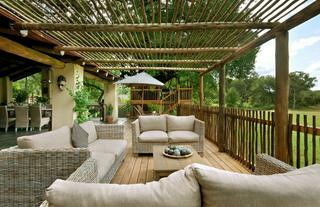 Recently winning runner up for best Safari lodge in Africa in the Good Safari Guide Awards 2008. 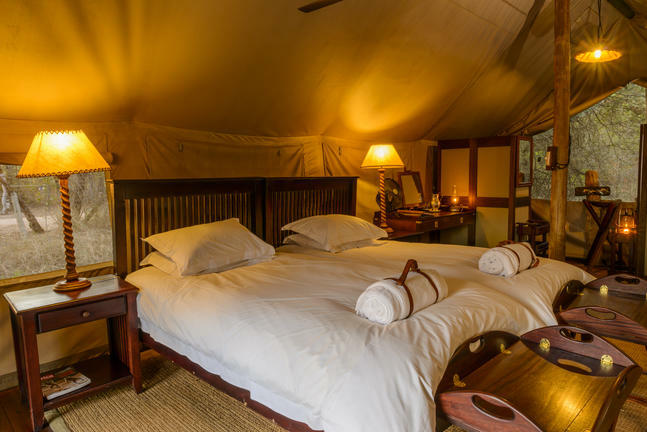 Notten’s Bush Camp’s accommodation consists of beautifully appointed suites with open plan bedroom and en-suite bathroom. 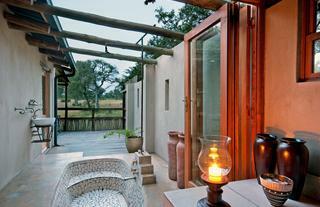 All suites have both indoor and outdoor shower facilities. 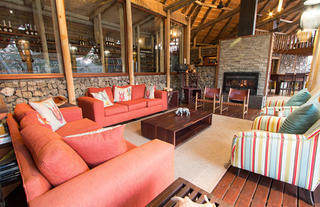 All windows and sliding doors are fitted with screens and insect coils are provided. 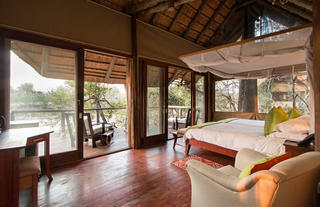 Each suite at Notten’s Bush Camp leads onto a private wooden deck with a beautiful view of the bush.Paraffin lamps and candles replace electric lighting for ambience and all the rooms are cooled with an overhead ceiling fan.Facilities are available for the re-charging of video machines and camera batteries in the safari lodge’s reception area. 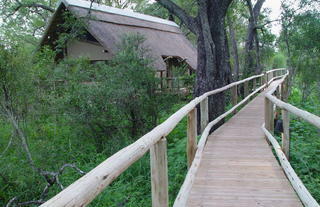 A main line telephone facility is also available.